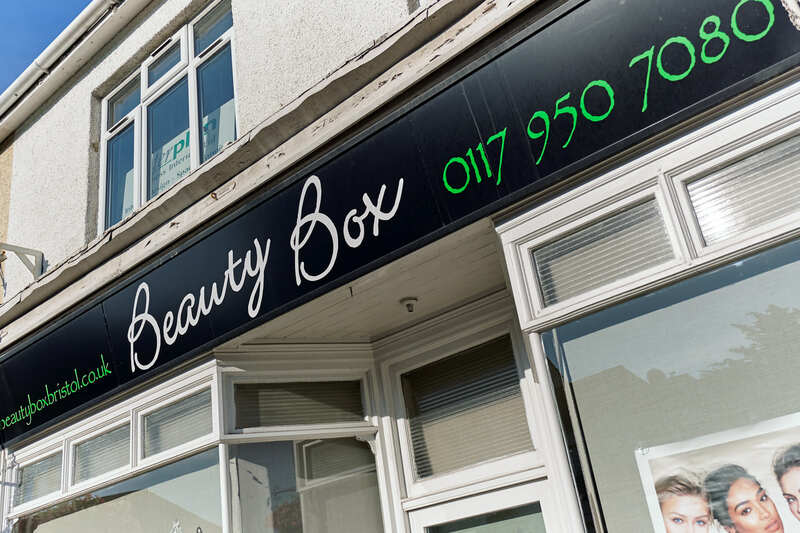 Beauty Box Bristol Ltd is committed to ensuring that your privacy is protected. Should we ask you to provide certain information by which you can be identified when using this website, then you can be assured that it will only be used in accordance with this privacy statement. Beauty Box Bristol Ltd may change this policy from time to time by updating this page. You should check this page from time to time to ensure that you are happy with any changes. We periodically send promotional emails about new products, special offers or other information which we think you may find interesting using the email address which you have provided. You may request details of personal information which we hold about you under the Data Protection Act 1998. A small fee will be payable. If you would like a copy of the information held on you please write to Beauty Box, 16 High Street, Westbury on Trym, Bristol BS9 3DU. If you have previously agreed to us using your personal information for direct marketing purposes, you may change your mind at any time by writing to or emailing us at info@richardward.com. BEAUTY BOX BRISTOL LTD (referred to hereafter as the ‘Company’) uses closed circuit television (CCTV) images to provide a safe and secure environment for employees and for visitors to the Company’s business premises, such as clients, customers, apprentices, contractors and suppliers, and to protect the Company’s property. This policy sets out the use and management of the CCTV equipment and images in compliance with the Data Protection Act 1998, General Data Protection Regulations (GDPR) and the CCTV Code of Practice. Any employee who works for the Company, as well as any other individuals working at or visiting the Company premises or engaged by the Company. It also applies to [apprentices signed up by the Company (and their parents/carers, where they are deemed to be young people or vulnerable adults), and] visitors to the Company, as well as agency workers, casual workers, contractors, consultants, interns, seconded staff, agents, suppliers and sponsors, or any other person associated with us (“associated persons”). Cameras are located at strategic points throughout the Company’s business premises, principally at the entrance and exit points. The Company has positioned the cameras so that they only cover communal or public areas on the Company’s business premises and they have been sited so that they provide clear images. No camera focuses, or will focus, on toilets, treatment rooms, shower facilities or changing rooms. Images may be recorded 24 hours a day throughout the year. As the recording system records digital images, any CCTV images that are held on the hard drive of a PC or server are deleted and overwritten on a recycling basis and, in any event, are not held for more than one month. Once a hard drive has reached the end of its use, it will be erased prior to disposal. However, where a law enforcement agency is investigating a crime, images may need to be retained for a longer period. Under the Data Protection Act 1998, and GDPR 2018, individuals have the right on request to receive a copy of the personal data that the Company holds about them, including CCTV images if they are recognisable from the image. If you wish to access any CCTV images relating to you, you must make a written request to the Company’s Director. There will generally be no fee charged for the supply of the images, unless the request is considered when a request is manifestly unfounded or excessive , particularly if it is repetitive or to comply with requests for further copies of the same information, in line with GDPR guidelines. Your request must include the date and approximate time when the images were recorded and the location of the particular CCTV camera, so that the images can be easily located and your identity can be established as the person in the images. The Company will respond promptly and in any case within 30 calendar days of receiving the request. The Company will always check the identity of the employee or person (if external body) making the request before processing it. The Company’ will first determine whether disclosure of your images will reveal third party information as you have no right to access CCTV images relating to other people. In this case, the images of third parties may need to be obscured if it would otherwise involve an unfair intrusion into their privacy. The Company will ensure that all employees handling CCTV images or recordings are trained in the operation and administration of the CCTV system and on the impact of the Data Protection Act 1998 and GDPR 2018 with regard to that system. The Company’s Managing Director is responsible for the implementation of and compliance with this policy and the operation of the CCTV system and they will conduct a regular review of the Company’s use of CCTV. Any complaints or enquiries about the operation of the Company’s CCTV system should be addressed to them. It is your personal responsibility to adhere to this policy. Breach of any of the provisions of this policy will constitute a disciplinary offence and will be dealt with in accordance with the Company’s Disciplinary Procedure. Depending on the gravity of the offence, it may be treated as gross misconduct and could render you liable to summary dismissal. As far as associated persons are concerned, breach of this policy could lead to the suspension or termination of any relevant contract, sub-contract or other agreement with the associated person. You must co-operate fully possible in any investigation into suspected breaches of this policy. The Company reserves the right to alter, amend or remove this policy at any time in line with changing Company or legislative requirements. Due notice will be given and staff will be notified accordingly. Every employee or associated person who is in the employment/associated with of the Company twenty-eight days after the notice giving details of changes has been posted is deemed to have contracted with the Company upon the terms and rules. The Company does not accept ignorance of any such notice as an excuse for non-compliance.